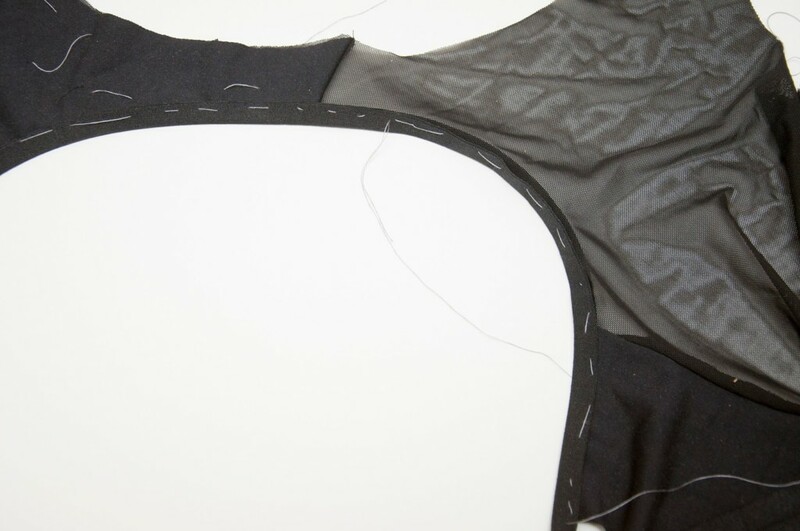 The sewing part of my new yoga top was actually fairly quick, but the process before that final step was another story. 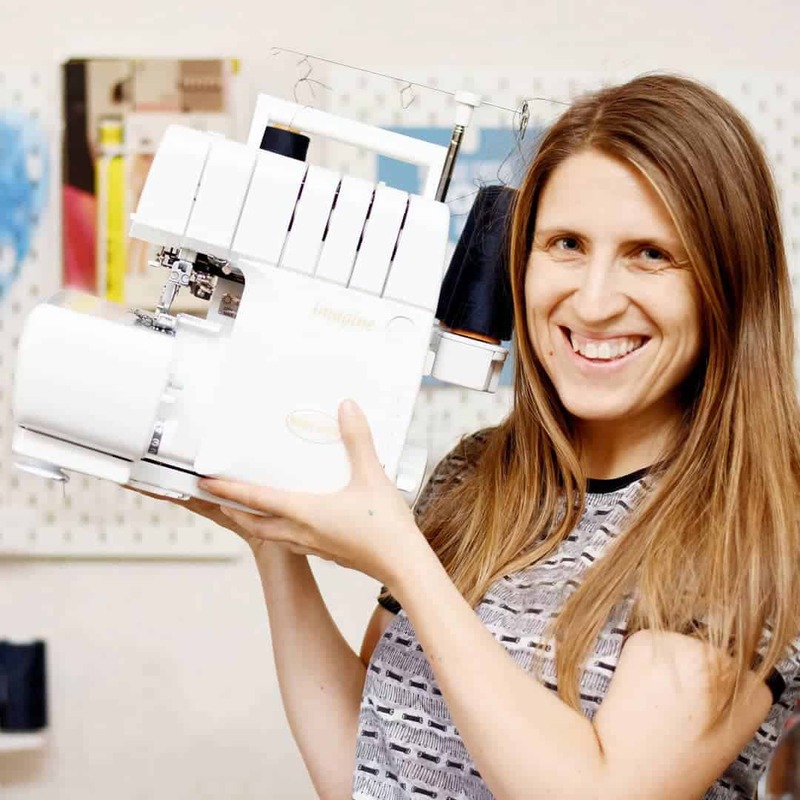 Since I love behind the scenes-stories I thought it would be fun to share all the stuff that went on from design and pattern making to the samples and assembly process. The design draws inspiration from several different sources. I knew I wanted to do an open back, since they are a pretty big trend right now in activewear. But not too open, hence why I used mesh and a back drape that doesn’t fall too low. I know I shouldn’t care, but my back has some scars and spots from decades of bacne, hence why I’m a little bit hesitant about showing that area. Regarding the bacne it is finally under control now due to a BHA/AHA lotion that I mix myself. As for the design process, since I am maker first and foremost I never go to crazy with the design ideas since I need to be able to construct them too. So my design process is very assembly oriented. 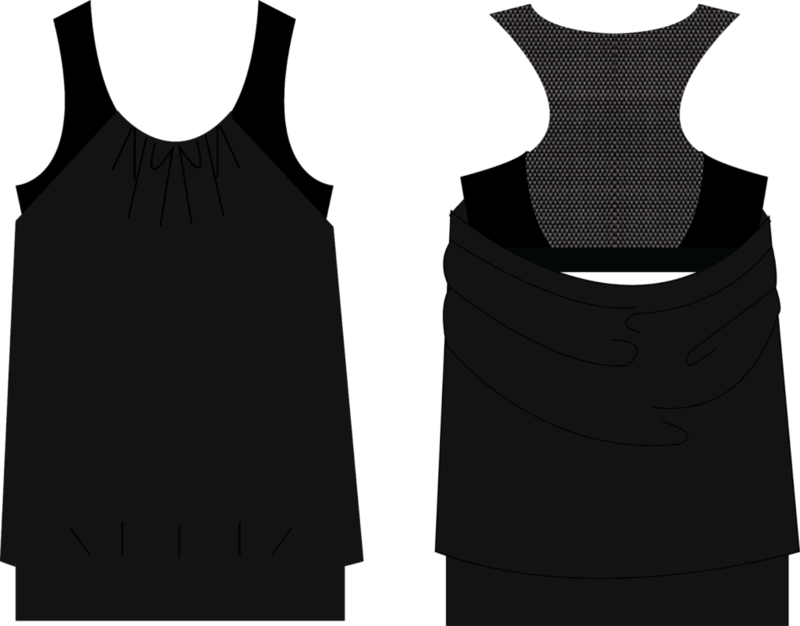 I am working on learning how to draft patterns in Adobe Illustrator and then converting them to pdf-files. 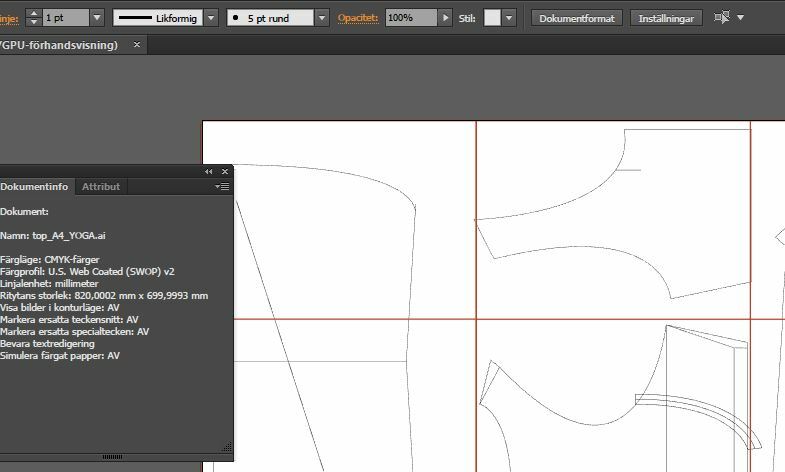 There are few helpful YouTube videos out there on the subject of pattern drafting and grading in Illustrator and Burdastyle has an excellent tutorial on how to convert the patterns to pdf-files. I’m no illustrator by any means, my skills lies in publication design and stuff like that. But I have used Adobe Illustrator a fair bit in my work, mostly doing basic infographics and other graphic design things. I also took an on-line university class many years ago on how to use Illustrator for fashion design, and that gave me a foundation in understanding the program. Luckily I have access to the program through work, because Illustrator is quite pricey, but now Adobe uses a monthly subscription system which makes it more accessible for the wallet. I bought some cheap poly/lycra jersey a while back to use for making samples and that was a good investment. My first sample showed that the pattern needed some tweaking, such as making the bra longer and tighter and placing the back drape higher up. Since there are so many tiny details on the top and the materials I used were quite fiddly I did extensive basting before sewing the seams. Yes it add some times initially but I think for me it saves time in the end, because fewer mistakes are made. This is actually a top that can be made without a serger and a coverlock since the modal jersey is quite stable and there is no hemming involved thanks to the folded waistband. 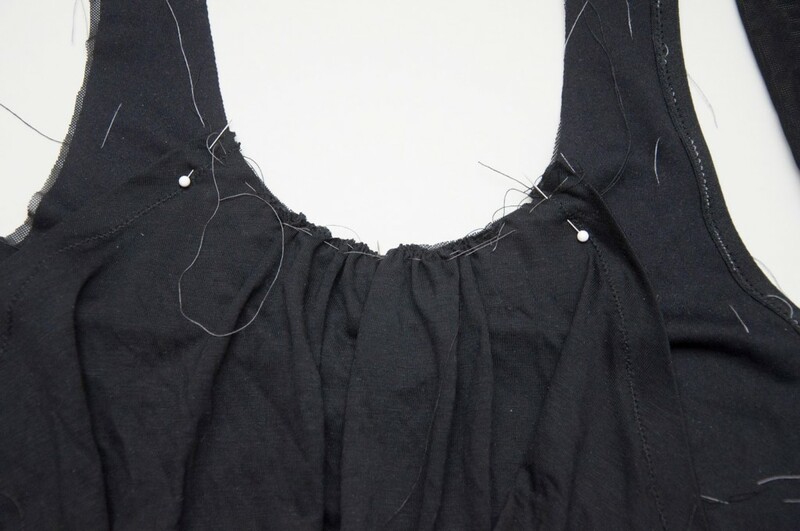 All you really need is a machine that has a stretch stitch. I used a serger for the side seams though. I am really happy about the end result and I credit all the prep work for this. Doing one’s own design and pattern drafting has its pros and cons for sure. The negative is having to figure all the big and small stuff yourself, instead of having that thought process already processed by someone else. As for the pros, apart from getting great fit and exactly what you want, I feel there is an added extra sense of accomplishment having made something that is truly your own. thank you for sharing your making of!